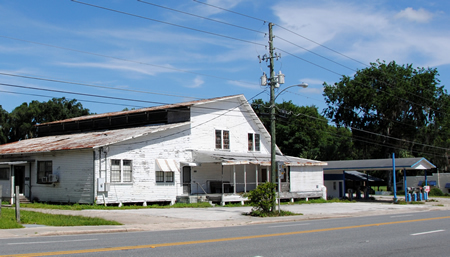 Desolation Florida: McIntosh: not as desolate as you might think. McIntosh: not as desolate as you might think. When the interstate highway system was created, it bypassed many towns which had once been located along what had previously been the major thoroughfares for travelers. Many of these once prosperous communities have since diminished over the intervening years, some to nothing more than a decrepit building or two marking the location of what was once a prosperous community. 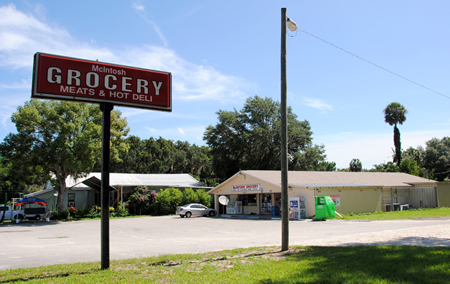 Highway 441 through Florida was once one of the main routes for traveling south to north, but with the construction of interstate highway I-75 in the 1960s, many of the communities along 441 began to shrink in size. 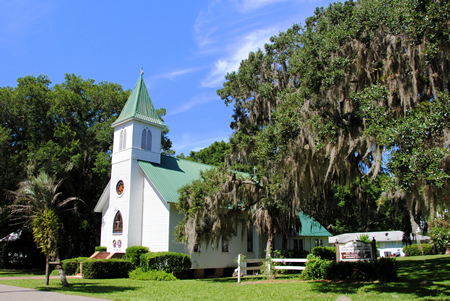 If you've ever decided to take "the back-roads" instead of the interstate and traveled north/south along 441, you have no doubt passed through quite a few small and rather desolate-looking small towns. 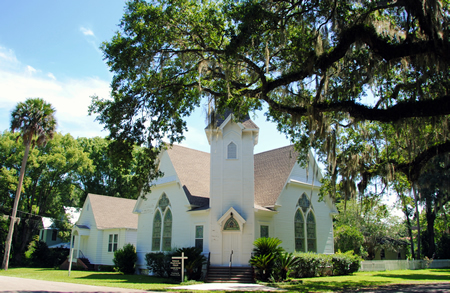 One of these, located near the northern tip of Marion County, is the small town of McIntosh. 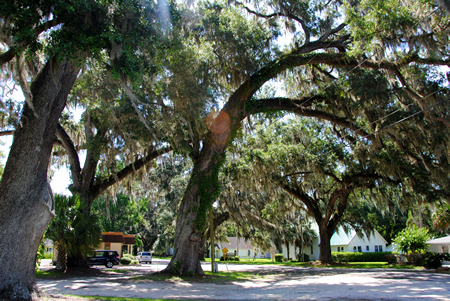 The community of McIntosh received its name from John Houstoun McIntosh, one of the earliest settlers of the area who was the owner of a nearby sugar plantation and sugar mill and a colonel in the Second Seminole War. 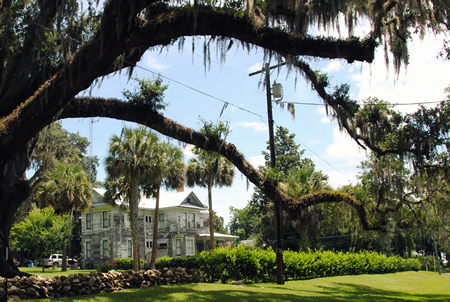 The area, however, did not begin to develop until the 1850s, during which time many in the area made their living farming citrus and vegetables. 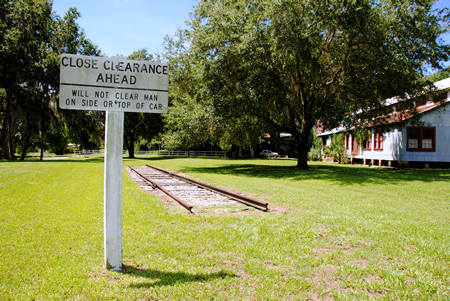 Following the Civil War, the Florida Southern Railway extended a line through McIntosh. 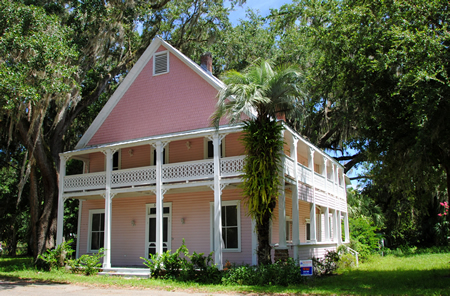 With the construction of the McIntosh Depot in 1885, the town became a regional commercial and passenger hub, and construction of homes in the town began in earnest. 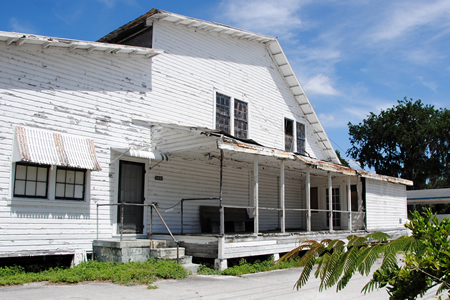 Citrus farms in the area managed to survive the disastrous freezes of the 1890s, and the town continued to grow. 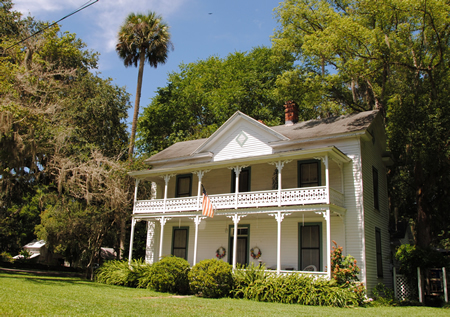 By the 1930s, McIntosh had approximately 725 households, and was considered a large town for central Florida. 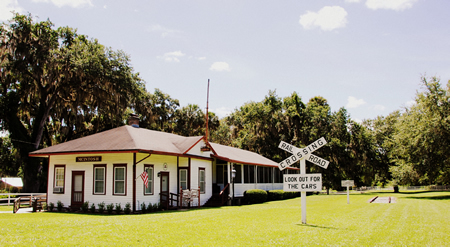 Its location along Highway 441 enabled it to see continued visitors once rail transportation declined in favor of the personal automobile, and many came to the area to enjoy the waters of the nearby Orange Lake. Nowadays, the town is much smaller. The construction of I-75 in the 1960s diverted much of the traffic that once passed through McIntosh on 441. 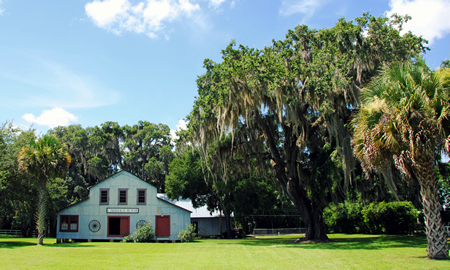 While McIntosh citrus farmers continued on much later than many other north and central Florida citrus growers, the freeze of 1985 destroyed the remaining citrus groves in the area and ended the town's citrus production. Access to Orange Lake is now restricted to residents of the private Sportsman's Cove retirement community and the private McIntosh Fish Camp. 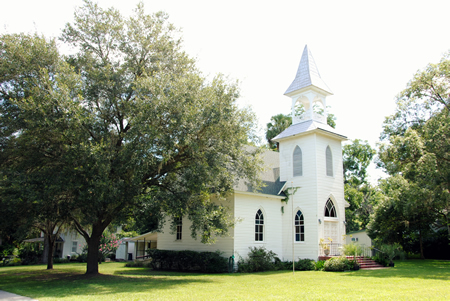 The population of modern-day McIntosh, once home of over 700 families is less than 500 individuals. Knowing all of this, I drove to McIntosh expecting to find it awash in desolation, but that turned out not to be the case at all. While the stretch of 441 which passes through McIntosh seems fairly desolate, one merely has to turn off the main road to find an adorable, quaint, and impeccably maintained little town. 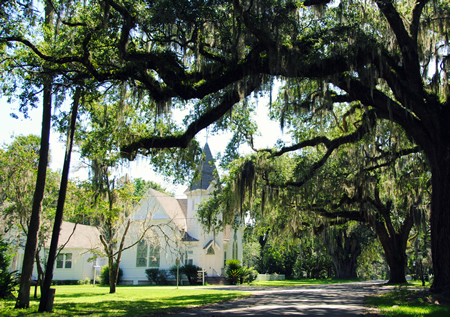 The roads are lined with tall live oaks, dripping with Spanish moss. Nearly all of the homes seem to date from the town's heyday, yet most are in excellent repair with beautifully maintained lawns. 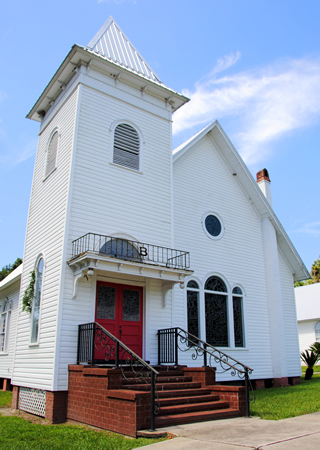 An astonishing number of gorgeous historic churches give the town a high church to home ratio. 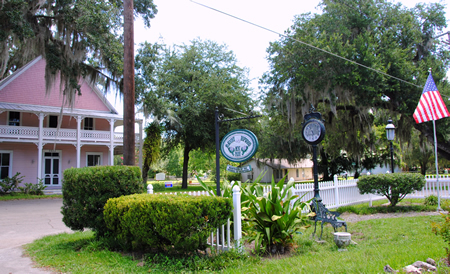 A small community park sits adjacent to the town's tiny Post Office. 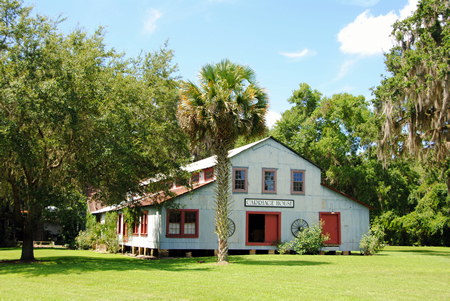 The McIntosh Depot has been restored, and there are several antique stores off the main 441 stretch. Apparently the town hosts a festival every fall that draws in thousands of visitors. This is the view if you turn off 441 and drive into McIntosh proper. This amazing home is for sale. 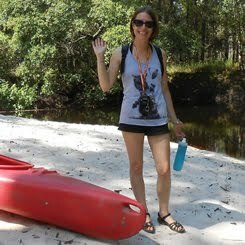 Check its listing for interior photos - it's fantastic! Seriously, watch out for the ghost train! This building is an antique shop. 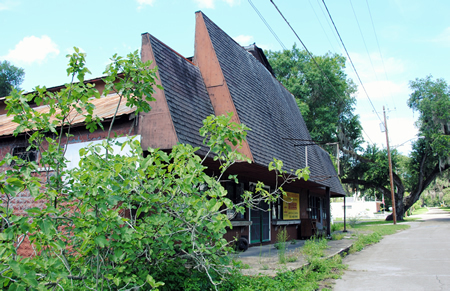 This was one of the few bits of desolation off 441; a former restaurant near the Depot, empty and for sale. 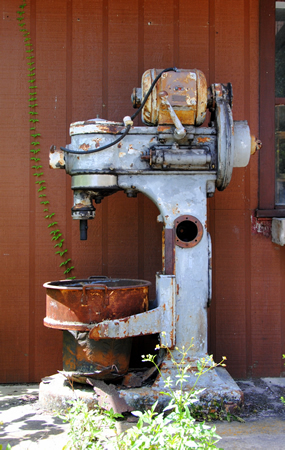 I've no idea what this is, but it was on the porch of the empty restaurant.